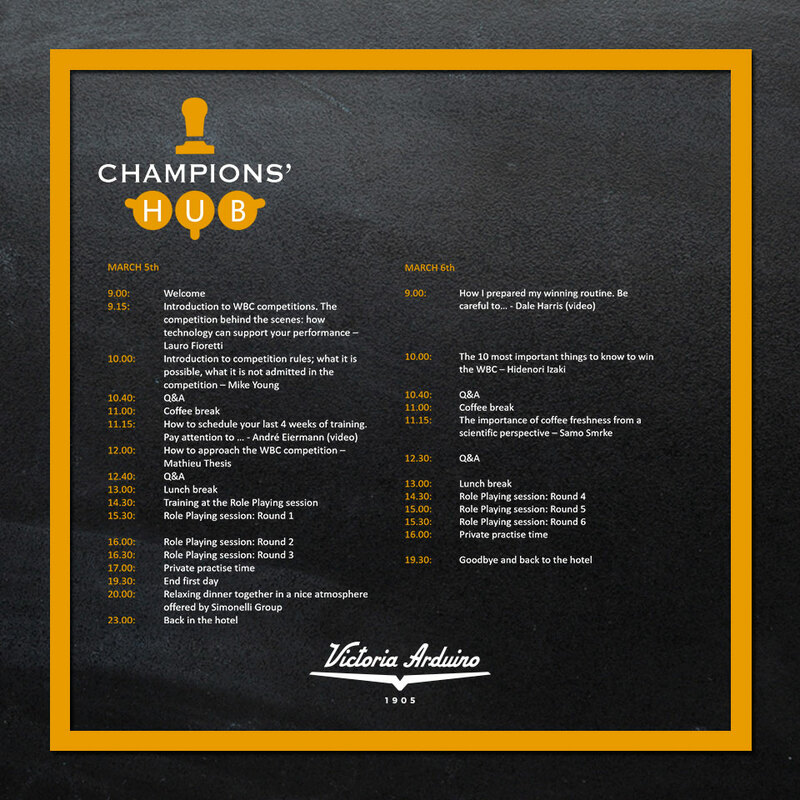 February 4th is the deadline to register for the Champions’ Hub, the program created to give access to the entire barista community of relevant training information, research and practice on the competition equipment. In the two-days agenda you can read important names of the coffee industry as Mike Young, who will introduce to the competition rules, what it is possible and what it is not admitted in the competition. 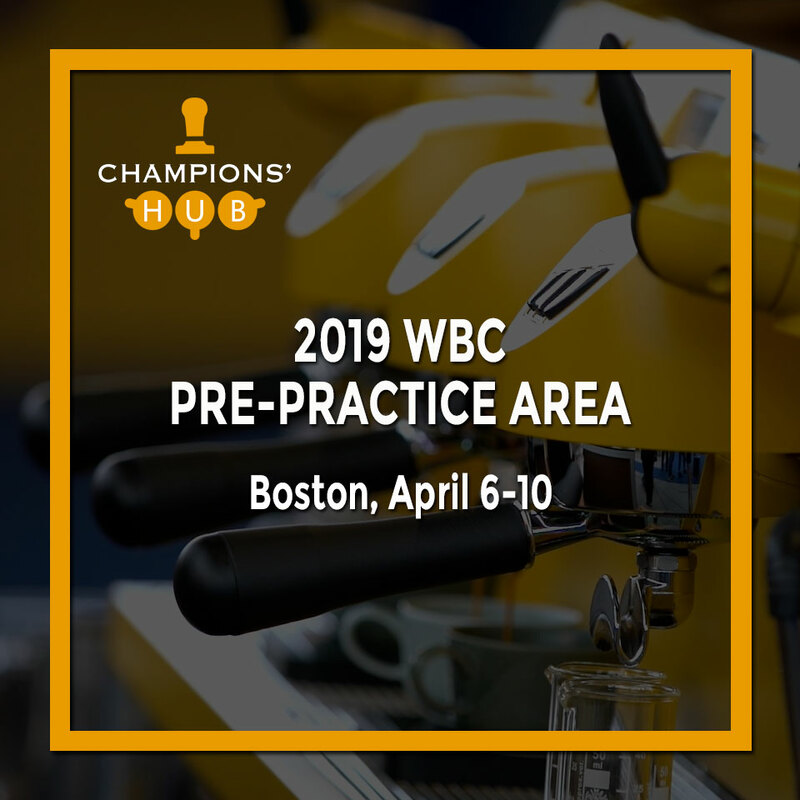 Among the speakers there are two World Barista Champions: Hidenori Izaki, 2014 WBC Champion, will talk about the 10 most important things to know to win the WBC. Dale Harris, 2017 WBC Champion, will explain how he prepared his winning routine offering lots of tips to get ready for the competition. 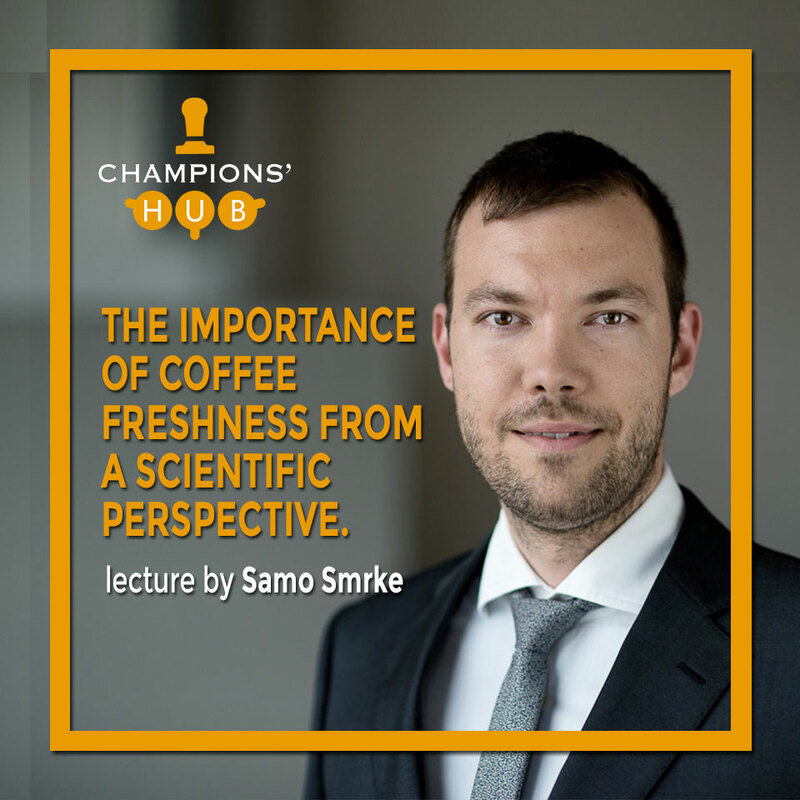 Samo Smrke, from ZHAW University, will join us to talk about the importance of the coffee freshness from a scientific perspective. Lauro Fioretti will explain how technology can support your performance. Mathieu Theis will present you a keynote about how to approach the WBC competion. It is also extremely important to organize very well the last 4 weeks of training before the competition: André Eiermann (10th place at WBC 2017) will talk about all the details to focus in the last period before the world competition (video-lecture) . During the morning of both days speakers will offer competitors useful tips, suggestions and mistakes to avoid pitfalls during their routine. During the two days baristas will enjoy the “Role playing” session. Under the guide of a head judge, competitors will play both barista competitor and judge. Playing both roles helps to understand the different points of view and the critical aspects of each role. This information will be useful in structuring the competition routine. In this session all baristas use a standard coffee to prepare their signature drink, so it will differ from the one they will use in the competition. 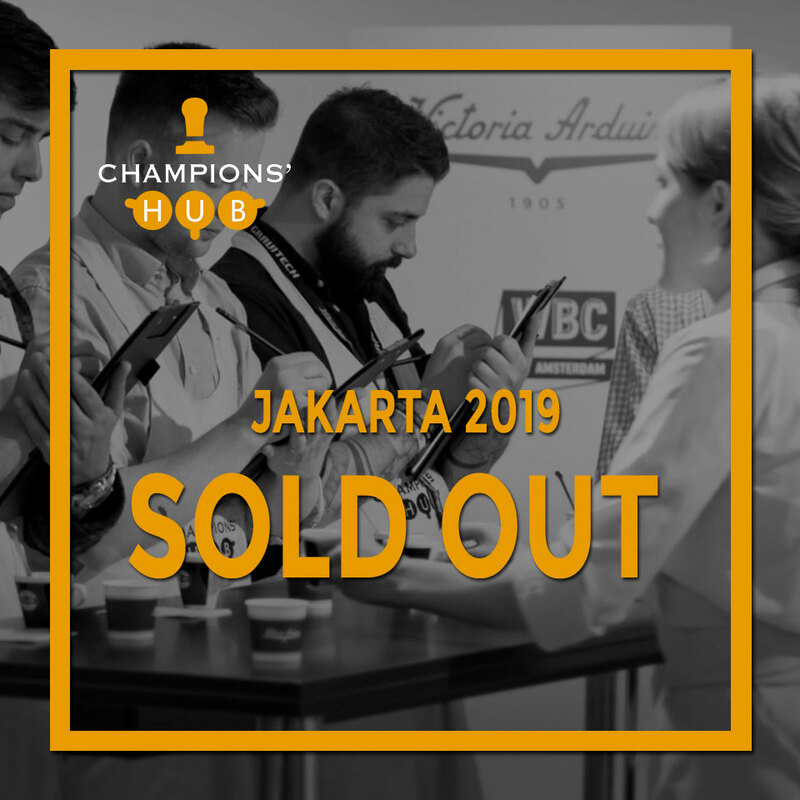 The Champions’Hub is a great opportunity for training and improving your performance for the World Barista Championship and for your business. So subscribe to Champions’Hub before February 4th.